Have you ever wished your life was like a romcom? Complete with kissing in the rain, melodies playing at every turn, and, of course, some crazy, lovey-dovey moment that makes you roll your eyes (but you secretly love it anyway)? While not all of my kisses are in the rain, and no one has been following me around playing a soundtrack, I can honestly say that during my proposal I got a lovey-dovey, eye-rolling moment worthy of only the best romcom. But before I get ahead of myself and you see how E.B. 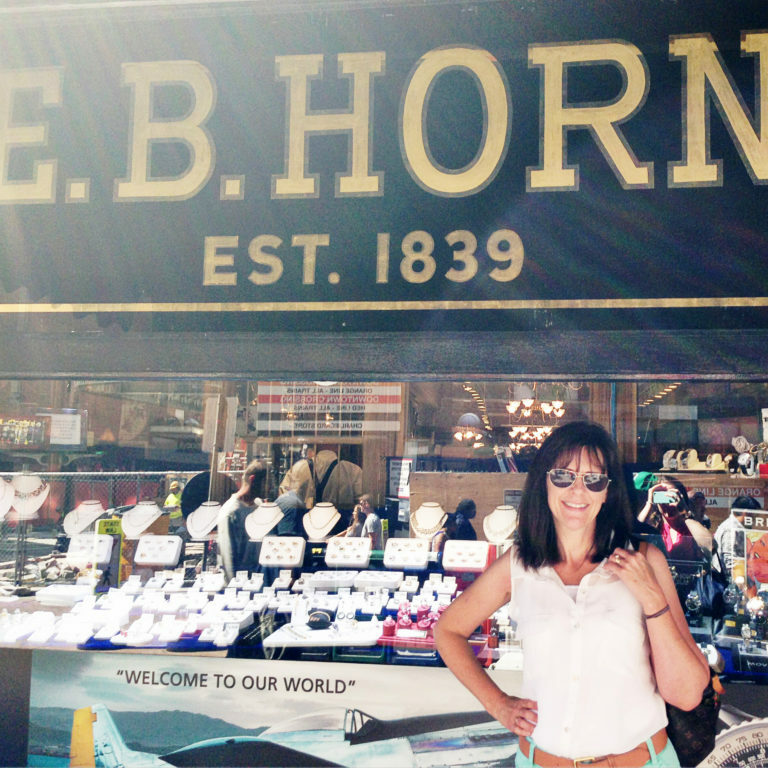 Horn Jewelers weaves its way through my family, we must rewind to 1982 (cue the ‘80s rock music). 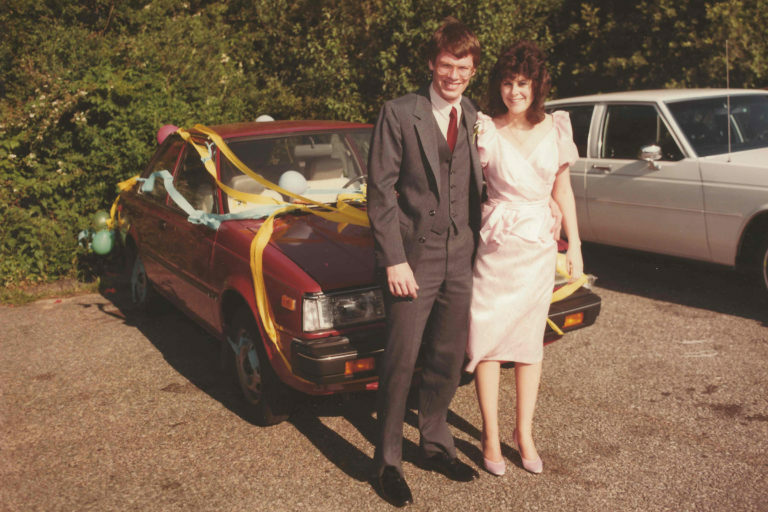 My parents met in 1982 at the toy store, Child World in Brockton. My Dad was a tall and lanky security guard with big glasses (he insists these were “in” back then). My Mom was a Child World employee with big, permed hair (she tells us, constantly, this was the “it” hairstyle). For my Dad, it was love at first sight. He constantly reminisces that my Mom was wearing a “super hot pair of white Levi corduroys” when they first met (this is the part when all of us kids cover our ears and screech, “ewwww”). Somehow, my tall and lanky Dad mustered up the courage to ask my Mom out. My Mom always says she fell in love with my Dad because they shared the same goofy sense of humor. My dad always says it was the white corduroys (ew). But when he answers earnestly, he says it was her kindness and silliness. After dating for about a year, my Dad made the trek into downtown Boston to E.B. Horn Jewelers to pick out a ring. 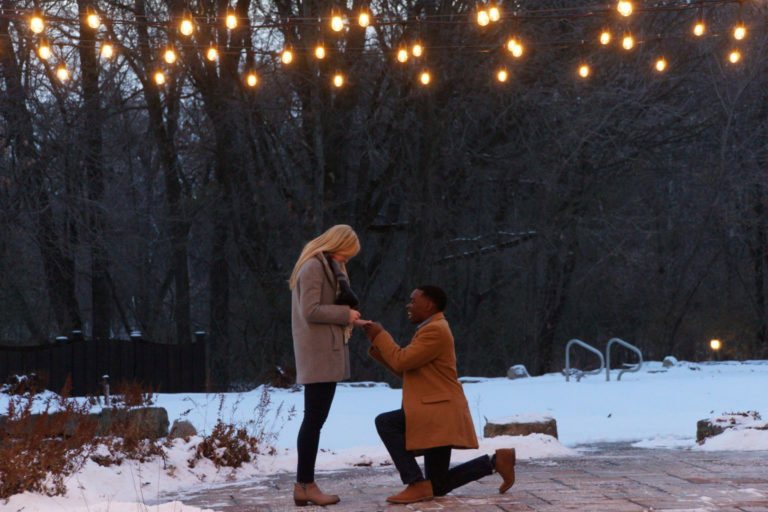 I’ve since asked how he decided on a classic, solitaire diamond and he said, “honestly, it was all I could afford and I knew she would want something simple.” After finding the perfect ring, my Dad planned a romantic date night at York Steak House. The original plan was to pop the question during dessert. But my Dad’s nerves had another plan… the romantic evening was coming to an end as they pulled into my Mom’s apartment in Easton. But right then and there, in the middle of the apartment parking lot, my Dad got down on one knee. He pulled a black, velvet E.B. Horn ring box and said, “Pudding, will you spend the rest of your life with me?” My Mom exclaimed, “Yes, cupcake, I will!” (I should add, with an eye roll, that my parents’ nicknames for each other were “pudding” and “cupcake”). They got married one year later in the small, beachside town of Sagamore. 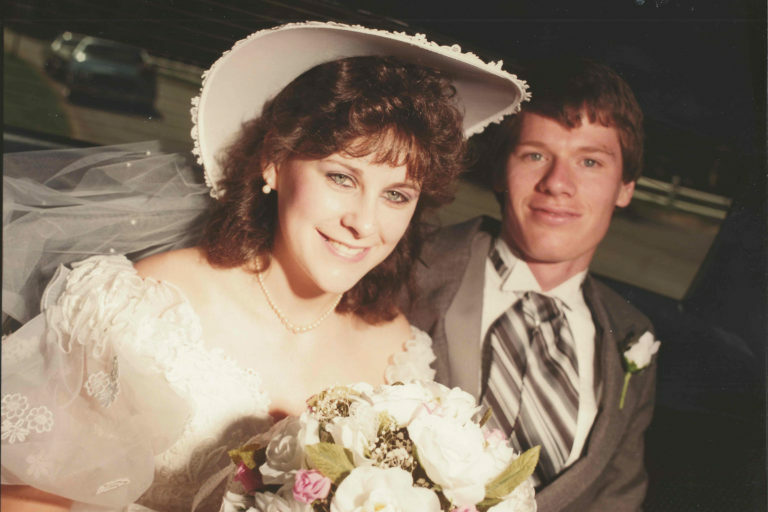 Fast-forward to today and they just celebrated their 33rd wedding anniversary! Now, before we get to my romcom moment, I need to give you a little background on my love story. 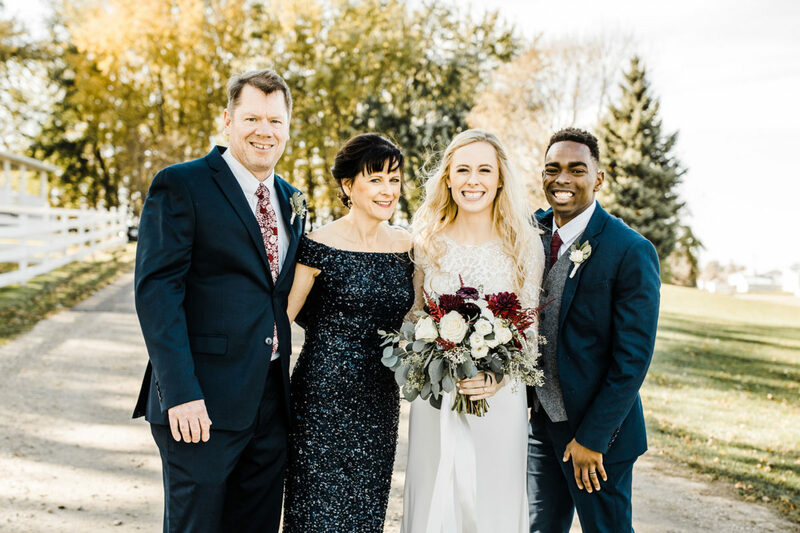 I met my husband during junior year of college at Bethel University in Minn. Our love is built on a mutual devotion to ice cream, car karaoke, and way too much dancing! When Nathaniel first asked me out I said, “There are other fish in the sea…” We remained friends for the next year until I finally realized that I wanted to be that fish, so I asked him out! (I must add that I will never live down telling him that there are other fish in the sea… he even recited it during our wedding vows!) The next two years of dating were full of crazy new adventures and endless love! Nathaniel popped the question in December 2017 by taking me on a trip down “Memory Lane.” We went to the exact spot where we first met at Bethel, the house he picked me up at for our first date, the pizza place we shared our first meal at, and the spot we had our first kiss. The final stop was his parent’s house. He had strung up café lights and had our song “Tell Her You Love Her” by Echosmith playing. 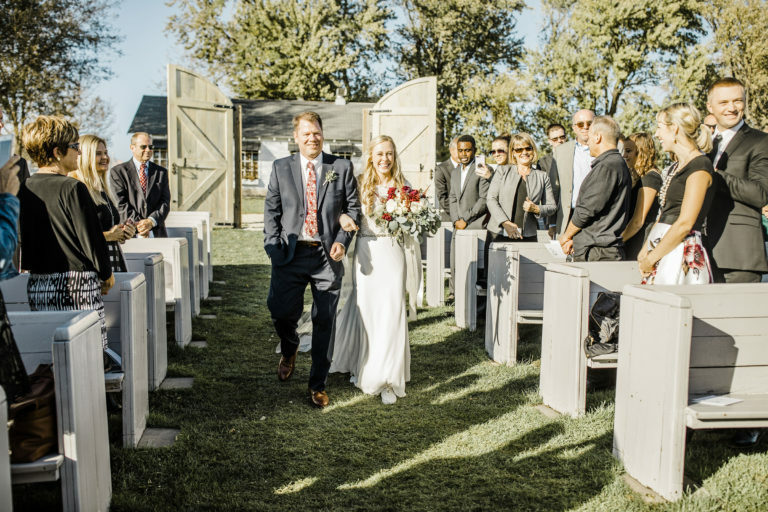 Nathaniel got down on one knee, and as he pulled out the ring box from his jacket, I couldn’t believe it… my lovey-dovey romcom moment was happening! There in his hand was the same black velvet E.B. Horn ring box that my Dad used to propose to my Mom!! Nathaniel asked, “Will you spend the rest of your life with me?” I screamed, “YES!” of course! As I look back on both my parents’ love story and my own, it still gives me butterflies thinking about how that simple E.B. Horn ring box could connect our two stories together so deeply. 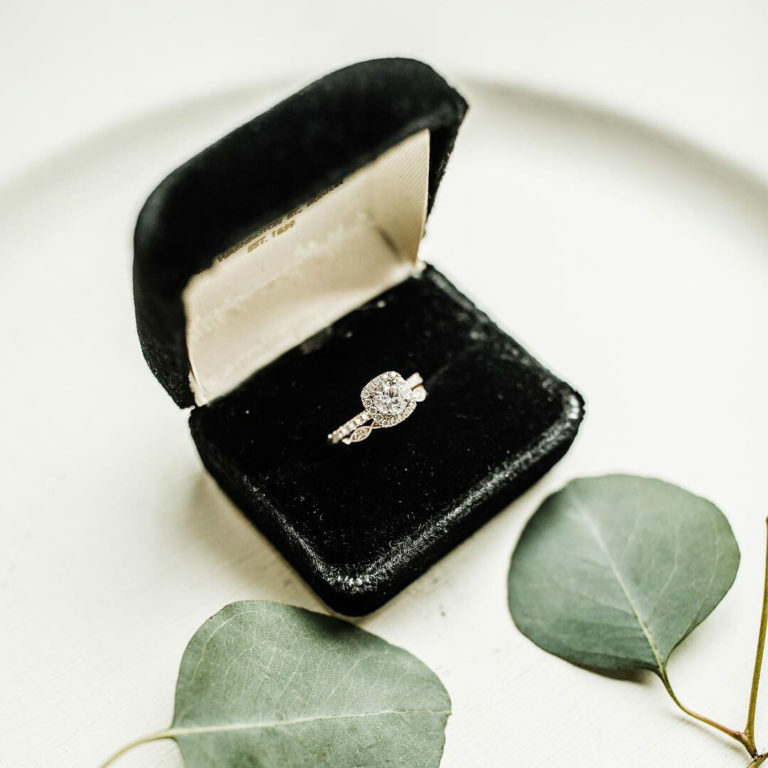 We can’t wait to pass the ring box on to our own children someday and continue to connect our love stories with that iconic black velvet box.